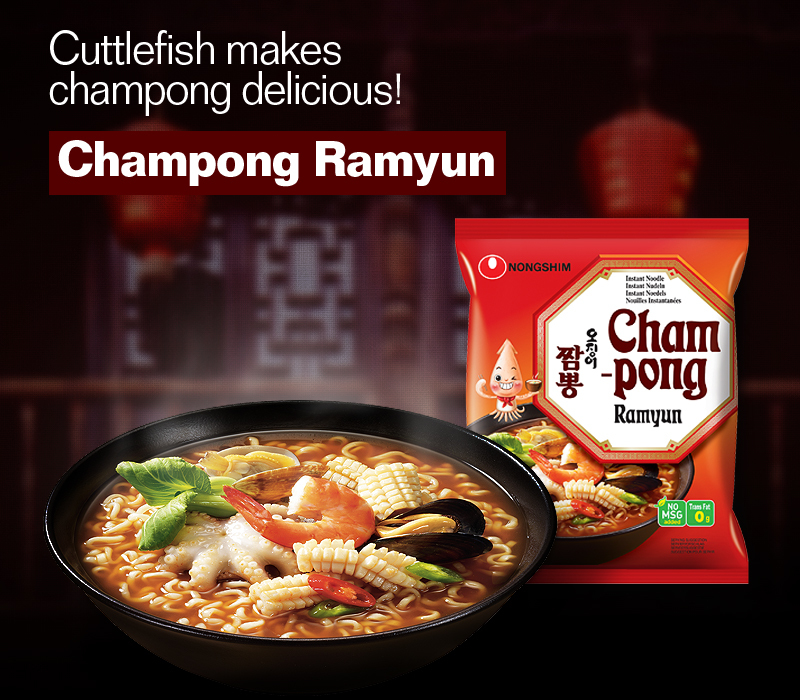 Conveniently enjoy the original Chinese champong flavor with 'Champong Ramyun'. With cuttlefish, the broth soup is more refreshing and spicy. Cuttlefish flakes are chewy and are a pleasure to bite. Soup is boiled with cuttlefish, various seafood and vegetable. 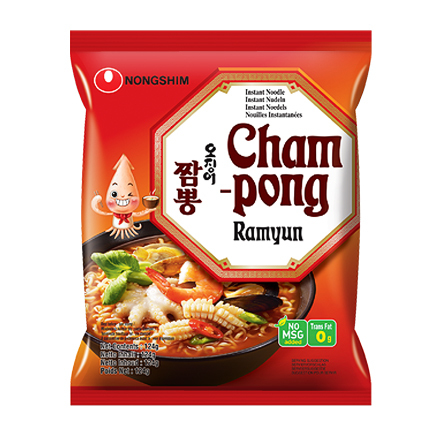 'Champong Noodle Soup' with spicy and refreshing soup was developed into a big bowl product for convenience and great enjoyment. 1. Boil 3 cups (550ml) of water. 2. Add noodles, soup base, and dried mix. 3. Cook for 4~5 minutes and serve. Open the lid up to arrow mark. Add soup base on noodles and pour boiling water up to the inside line. Close the lid and wait for three minutes. Stir well and serve. Open the lid up to the arrow mark. Add soup base on noodles and pour boiling water (400ml) up to the inside line. Close the lid and wait for 4 minutes. Stir well and serve.